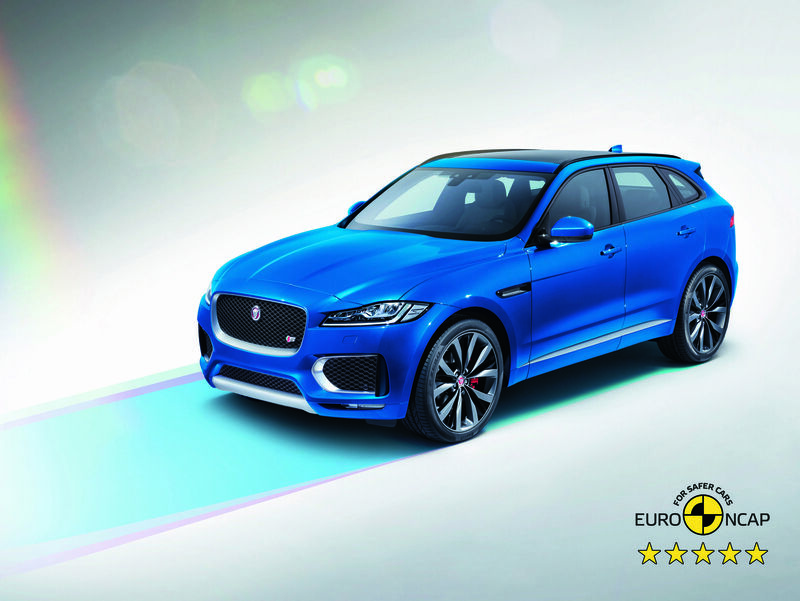 The Jaguar F-PACE performance SUV has added a five-star Euro NCAP rating to its 2017 World Car of the Year title. The performance SUV, which also won 2017 World Car Design of the Year at the 2017 World Car Awards, scored 93% for adult occupant protection, 85% for child occupant protection and 80% for pedestrian protection. Combining award winning design, innovative engineering and now a five-star safety rating marks the F-PACE out as the ultimate family car. 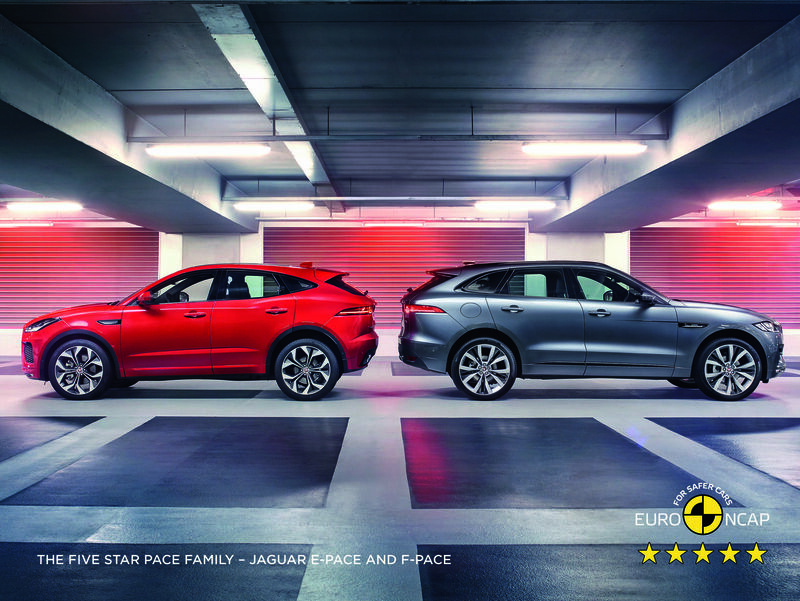 This result also confirms the current PACE family’s safety status following the recent award of five stars to the all-new E-PACE compact SUV. The F-PACE has become the fastest-selling Jaguar ever, with the 100,000th vehicle recently rolling off the production line at Jaguar Land Rover’s Solihull manufacturing facility. The performance SUV has received more than 70 global awards, including the 2017 World Car of the Year and World Car Design of the Year titles. The F-PACE features an aluminium intensive architecture with six airbags to create a super-strong occupant safety cell allied with a suite of advanced driver assistance systems. The combination of active and passive safety measures helped deliver an overall Euro NCAP rating of 85%. Previous articleBe Safe & Be Seen By Leaving Your Lights On!